Limoges CSP has made a number of changes to its roster, but none more important than in its backcourt, where the club has paired together playmaker London Perrantes and shooting guard Dwight Hardy. 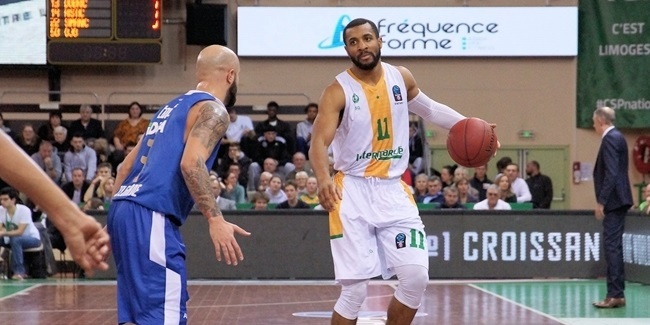 Limoges acquired two more point guards in veteran Jonathan Rouselle and youngster Damien Larribau, who is the club's investment for the future. 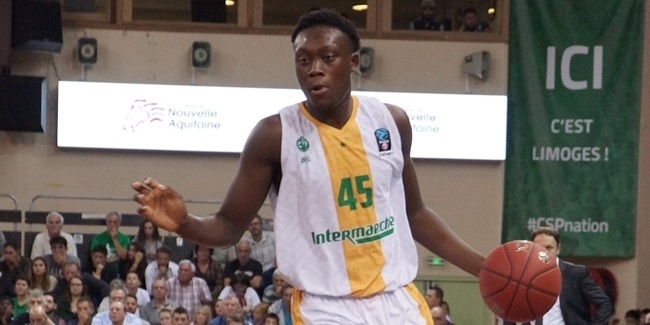 Limoges also shored up in the paint with big man Jerry Boutsiele, productive stretch four Isaiah Miles and super-talented, versatile 17-year old Sekou Doumbouya. Yet another young player, big man Dimitri Stariniets, is another example of Limoges taking the long view. Limoges play will rely heavily on Perrantes and Hardy. Perrantes is a pass-first playmaker who thrives in creating for his teammates. It is his first season in Europe, but he will play alongside Hardy, a high-profile veteran scorer with who has a career average of 14.6 points per game over the previous two EuroCup seasons. Rouselle will serve as a back-up point guard, and together with Perrantes will help feed two dangerous wingers, 25-year old William Howard and 23-year old Axel Bouteille. The two were among Limoges' most important players last season and will be the same this season. Big swingman Bouteille led the team in scoring in the EuroCup a year ago, while Howard is a versatile small forward who can score from all over the court, and contributes in many different ways. Limoges will be very big and strong in the paint, and it might have the most dangerous pair of centers in the competition, with Mam Jaiteh and Samardo Samuels, who both return for another season with the team. Samuels is a big, imposing and athletic presence who has even developed a little bit of a three-point shot. As the team's starting center last season, Jaiteh was the third-best scorer and the top rebounder with 6 boards per game, which ranked him just outside top 10 in the entire competition. Boutsiele can play both as a four and a five, and Miles is a stretch-four who is not only an excellent shooter but a player who can put the ball on the floor. He will help make room for the big men to operate around the rims. 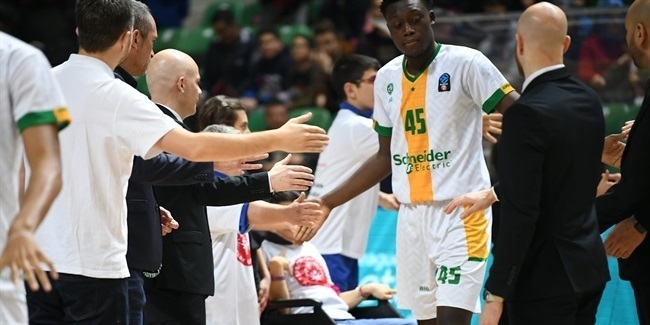 Doumbouya can play at both forward positions, while Timothee Bazille and Stariniets will look for any opportunity to gain valuable experience. William Howard is coming off a season where he proved to be able to contribute for his team at the highest level, and on both sides of the floor. Now in his second season with the club and at 25 years of age, he is poised to make this a breakout year of sorts, and the club will put a lot of trust in him. Howard averaged 7.7 points and 3.9 rebounds last season in the EuroCup, but those numbers improved to 11.4 points and 4.2 rebounds in the French League. On offense, he is really effective shooting from long range or taking it to the rim, while on defense Howard is one of the team's best rebounders and also its leader in steals. The do-it-all small forward will be one of the most important pieces on the Limoges roster this season, and a player to watch for all opposing teams. It was an emotional last season for Limoges. After easing through the regular season and into the Top 16, Limoges registered just one win in the second stage of the EuroCup, while the club was dealing with a tragic death of its legendary president, Frederic Forte. This season, the young core of Limoges players already has a EuroCup season of experience to learn from, while Samuels and Hardy bring much-needed veteran presence to this highly-talented group. With a devoted fan base that will always give a push to this team, regardless if things are good or bad, it looks like something special could be brewing in Limoges.